Researching your Calderdale family tree could now be a lot easier after Calderdale Libraries’ volunteers completed their work on the index of births, marriages and deaths from the old Halifax Guardian newspaper. Almost 6 years after the first volunteer switched on a microfilm reader and started work on the first edition of the Halifax Guardian, dated 1December 1832, Calderdale Libraries’ index to births, marriages and deaths is now complete, to the end of the newspaper’s life in 1921. The index can be accessed at www.calderdale.gov.uk, by entering ‘Guardian index’ in the search box. It’s designed to direct family historians searching for a particular name, in the Calderdale area, to the right date and page in the newspaper. This can be followed up with a visit to the Central Library in Halifax to look at the microfilmed original or by contacting staff in the Reference and Local Studies section. The index reveals all manner of fascinating information. There are 7224 instances of the predictably popular surname Smith, but Calderdale locals won’t be surprised to learn that this total is surpassed by the locally popular Greenwood, with 9713 entries, and almost equalled by Sutcliffe, coming in at 7078. Locals in the 19th century matched the contemporary desire to choose the names of famous people for their children, as seen in the names Handel Armitage and B Disraeli Simpson, presumably named after the composer and prime minister respectively. Among the more unusual names were Feather Earnshaw, Champion Murgatroyd and the seasonally named Christmas Staff. The work of creating an index of this size, with 394,000 entries, required immense commitment and Calderdale Libraries are extremely grateful to the library volunteers who dedicated countless hours to the process, along with the Calderdale Family History Society, one of whose members converted and bookmarked all the raw files, ready for the website. The index has been released in stages and in addition to those from Yorkshire and within the UK; the library has had enquiries from as far away as Australia, and New Zealand. 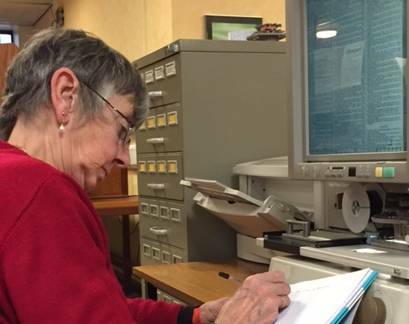 This entry was posted in All news, Community volunteers, Heritage, Libraries. Bookmark the permalink.